Illuminates and adds color to your complexion. 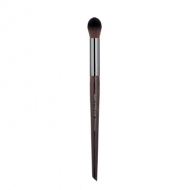 Highlighter Brush Medium 152 is a Make Up For Ever highligter brush suitable for cream, gel and powder textures. Its round shape offers maximum smoothness and application ease for a perfect flawless result. It illuminates, smooths and enhances facial features. Smooth the product working inside out.